The Abbey of St Edmund Heritage Partnership has launched two consultancy studies for the Abbey of St Edmund. It is led by St Edmundsbury Cathedral in collaboration with St Edmundsbury Borough Council and ten other local and regional public, private and voluntary organisations. The Heritage Assessment will bring together all the historical and archaeological information about the Abbey of St Edmund. The Conservation Plan will then draw up a series of policies for heritage conservation and interpretation. It will also identify potential improvement projects that will then provide a basis for future applications to various funders. The studies are being funded by a Heritage at Risk Grant of £40,000 from Historic England and £10,000 from St Edmundsbury Borough Council. The Borough Council has undertaken a competitive tendering process and will act as formal contract manager and budget holder for the studies on behalf of the Heritage Partnership. 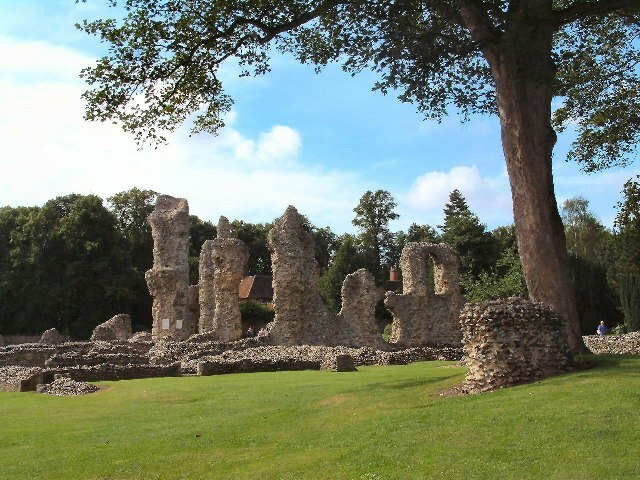 Ruins of the Bury St Edmunds Abbey. From the Geograph Project. The studies will also include the areas of the Cathedral, the Great Churchyard, the Vinefields, The Crankles and No Mans Meadow. The Heritage Partnership has agreed to form three Advisory Groups to help progress its work. The Heritage Assessment Group will be led by Dr Tom Licence of the University of East Anglia, the Conservation Plan Group will be led by Richard Summers of the Cathedral congregation and the Articles of Partnership Group will be led by Tim Page of the Bury Society. The partnership is keen to involve the local community as its plans, policies and projects develop in the future. 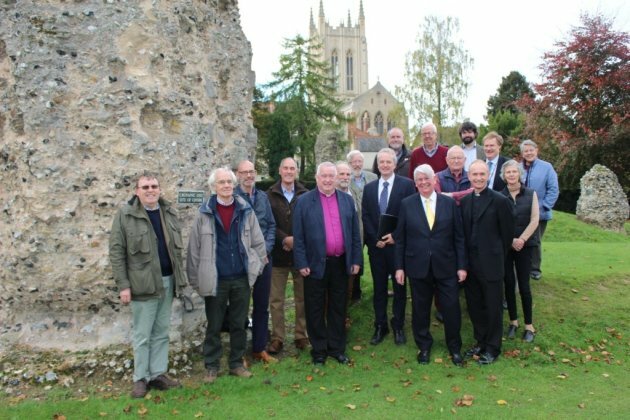 The Heritage Partnership includes representatives of Suffolk County Council, Historic England, English Heritage, the University of East Anglia, the University of Suffolk, the Bury Society, several local community groups, several respected architects, historians and archaeologists, the Archaeologist to the Cathedral, the former Surveyor to the Cathedral, several representatives of the Cathedral and the several departments of the Borough Council. The Abbey of St Edmund Heritage Partnership is led by St Edmundsbury Cathedral and chaired by the Reverend Canon Matthew Vernon. Richard Summers, a professional planner and a member of the Cathedral congregation, coordinates to work of the Heritage Partnership. St Edmundsbury Borough Council is the formal project manager for the grant funded Heritage Assessment and Conservation Plan and Damien Parker has managed the procurement of the appointed consultants by competitive tender. Martyn Taylor, Chairman of the Bury Society, Green Badge Guide and local historian is the fourth member of the Heritage Partnership Core Group.